How do I contact a college coach? What should I say? How do I convince a coach I’m right for their program? Where do I start? How can I tell who is interested? What rules should I know about?! How do I, but what if...ahhhhh! 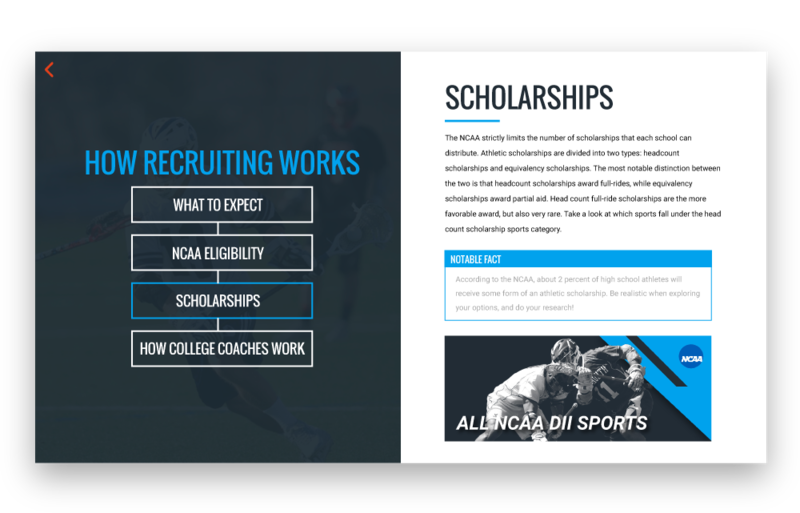 Get the answers you need in the SportsRecruits Recruiting Guide. You only have one shot at the recruiting process. It’s natural for you to be nervous. We believe preparation can turn this stressful experience into an exciting one. When you’re nervous about a very important exam, what gives you confidence? Studying the course material. 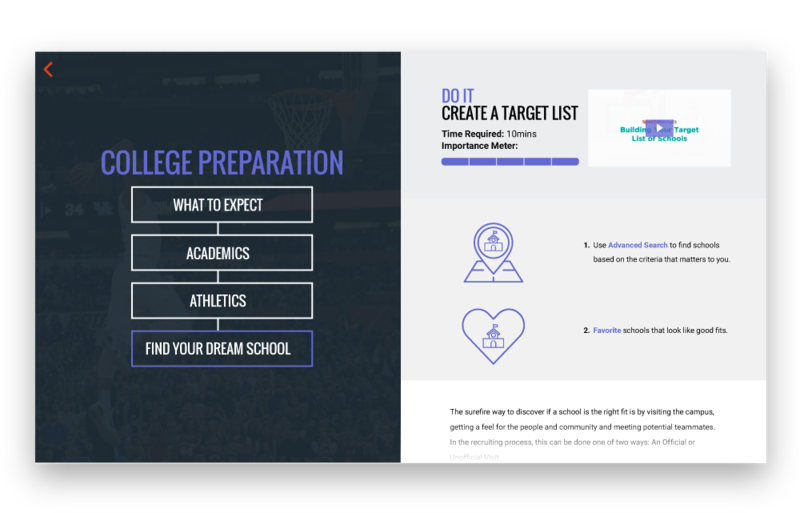 In the same way, this guide will prepare you to succeed in your college search and recruiting process. The team at SportsRecruits is made up of former collegiate athletes, each with their own unique recruiting stories and lessons learned along the way. We’ve been where you are, and come out with knowledge we’re eager to share with you. We created this free guide to help you navigate your process with confidence. We designed it to inspire you towards action. This manual will tell you exactly what you need to do, with checkpoints throughout to keep you on track. 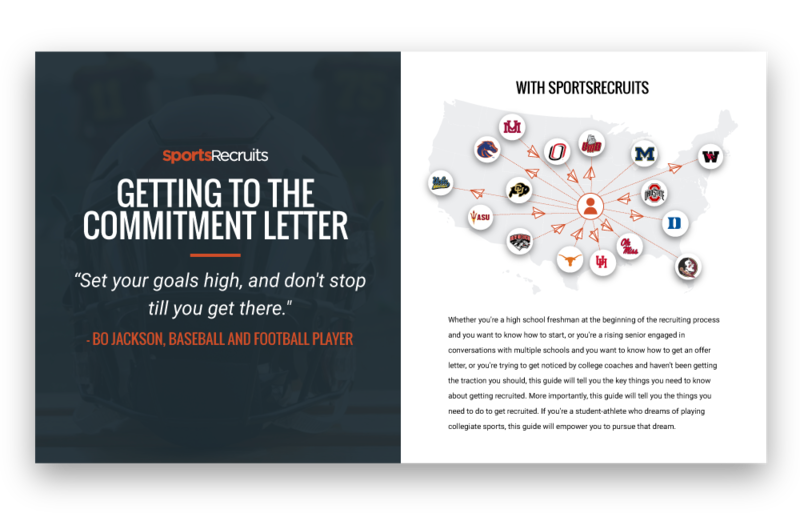 By the time you’re through with this guide, you will not only have a better grasp on recruiting, you will be well on your way to getting the commitment letter. 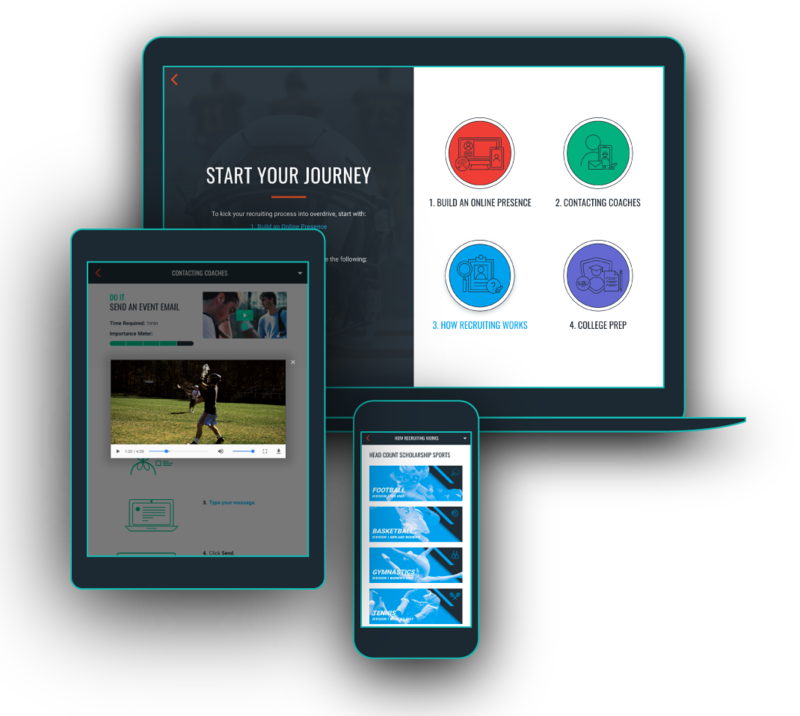 A dedicated analyst and personal curriculum, powered by data-driven insights. Talk to a Recruiting Specialist today at +1 917-426-9745 or get started right away below. College coaches expect instant access to your information and video. This chapter zeros in on what commands a college coach’s attention. Learn how to start and hold a conversation with any college coach. And do it. Discover how to put your game directly in front of every college coach you wish would attend your games, and then get them there. Master the ability to quickly and easily gauge college coach interest. And apply that insight to your advantage. See recruiting from a college coach’s perspective. Understand how the recruiting world works, and your role within it. It may be hard to make sense of this now, but the college decision is about way more than athletics. This chapter focuses on best practices for setting yourself up for success in high school and beyond. We hope this chapter empowers you to pursue your dreams. Learn what it takes to commit.